↑ "Ionizers and Static Eliminators". GlobalSpec. 2009. สืบค้นเมื่อ 2009-04-13. ↑ "Fabric Softener and Static". Ask a Scientist, General Science Archive. US Department of Energy. 2003. สืบค้นเมื่อ 2009-04-13. 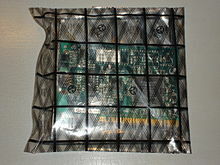 ↑ Antistatic Bags for Parts. PC Chop Shop. John Wiley and Sons. 2004. ISBN 978-0-7821-4360-7. สืบค้นเมื่อ 2009-04-13. ↑ Antistatic Wrist Strap. PC Chop Shop. John Wiley and Sons. 2004. ISBN 978-0-7821-4360-7. สืบค้นเมื่อ 2009-04-13. ↑ "Safetoes: Safety Footwear". Safetoes. Trojan Tooling. 2004. สืบค้นเมื่อ 2009-04-13. ↑ "NASA – Crackling Planets". สืบค้นเมื่อ 2008-01-20. 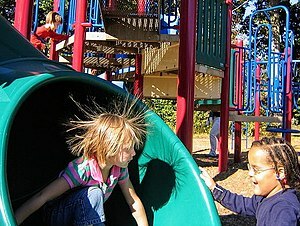 ↑ "High voltage safety: VandeGraaff Electrostatic Generator". amasci.com. สืบค้นเมื่อ 2010-01-27. ↑ "ESD Terms". eed.gsfc.nasa.gov. สืบค้นเมื่อ 2010-01-27. หน้านี้แก้ไขล่าสุดเมื่อวันที่ 20 กุมภาพันธ์ 2562 เวลา 20:39 น.